Rio Rapid Heel Smoother gives instant smooth results – smoothing away calluses and removing dry skin on heels and toes in just seconds to reveal beautiful feet you’ll be proud to show off. The dual speed head spins at a powerful 4400RPM, while the durable crystal tip effortlessly goes to work on those tricky areas of the foot to remove troublesome hard skin quickly and easily. The unit comes with a large and small crystal tip for different areas of the foot, as well as a handy shield and collector which simultaneously protects your hands and collects the dead skin cells. The Rio Rapid Heel Smoother gives instant smooth results with durable crystal tips smoothing away calluses and removing dry skin on heels and toes in seconds. To use, simply click one of the tips into place, turns the Rapid Heel Smoother on and select the speed setting you require, either regular or intense. Work your way around the treatment area until you are done before moving on to the next area. 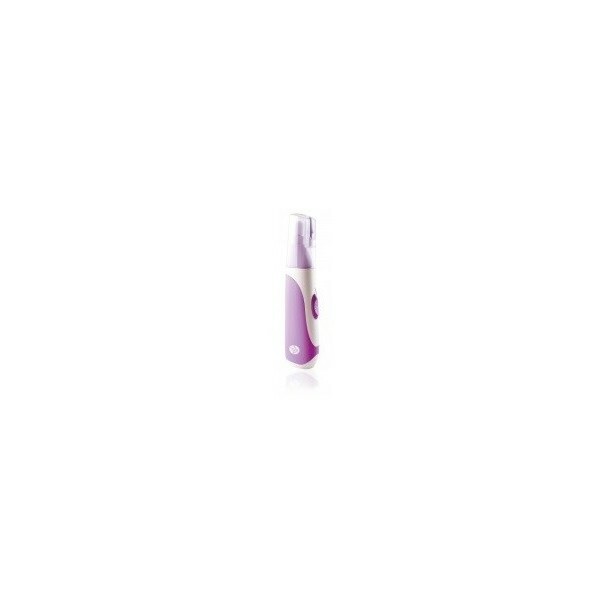 The large crystal tip removes dead skin cells, dry skin and calluses to make your skin smooth and is ideal for larger areas such as the heels, while the Small Crystal Tip works well on smaller areas such as the toes.